My vintage Star Wars toys were trying to help with the tea. It's no secret that the newest Star Wars movie is now in theaters, and all my fellow geeks are freaking out. I haven't bought my tickets yet but I am a dedicated fan, I promise! I thought I'd try to prove it with my handy guide on how to drink tea like a Jedi. I recently saw this picture posted online, and it inspired me to create tips that are a bit more realistic. Aren't you only supposed to use The Force when it's absolutely necessary? I don't think you need it to enjoy your cup of tea like a Jedi! Use patience: Take your time, and enjoy the tea. Experience the aroma, flavor, and texture. Visualize the flavors and how they work together. If while you are drinking your tea, your thoughts drift towards The Dark Side, do not give in to those feelings of anger! Let those feelings go and focus on the cup in front of you. Resist fear: Go outside of your comfort zone and try a tea you're a bit hesitant about. Does that ripe puerh smell too much like a forest floor for your liking? Give it a try anyway. Expand your horizons and you'll be surprised at how many new teas you'll enjoy. Focus on the Present: Clear your mind and enjoy your tea moment. Don't worry about the battles from long ago or the ones waiting around the corner. Mindfully prepare and drink your tea instead. 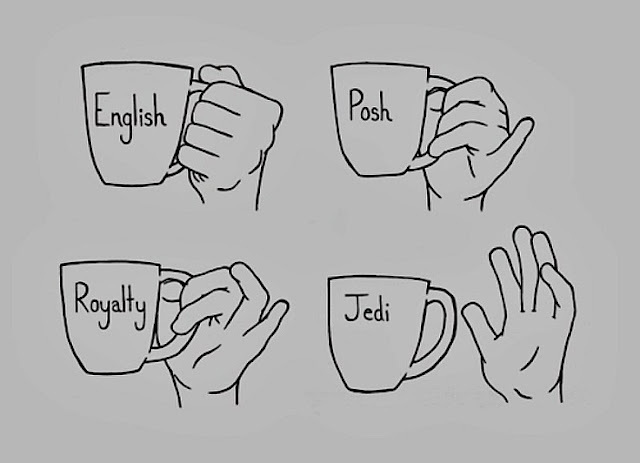 Do not form attachments to any one tea: Jedi aren't supposed to form bonds to any life forms, and the same goes for tea. Enjoy a wide variety of tea and don't get stuck drinking the same one day after day. Feel The Force within the tea: Similar to focusing on the present, pay attention to how the tea affects your body as you sip. Do you feel differently? Does your mood change? A Jedi must be tapped in to every sensation and feeling. Fight for the Weak: Jedi believe all lives are precious and must be defended. Do your part by purchasing teas from companies that are working to help out those in need. Companies such as Ajiri Tea, Eco Cha, JusTea, and Young Mountain Tea are just a few to look into. Also, fight against weak tea! Don't fall to the Dark Side: Ok, I like the idea of this one but I can't really use it, since darker teas are super delicious. Maybe just don't fall to the actual Dark Side. I can see Yoda sipping his tea in this fashion, can't you? Thanks for reading, and may The Force be with you! I am a Trekkie; so live long and may you prosper with your tea as one. Thank you Dina! So glad you enjoyed it. I'm jealous I haven't seen the movie yet! !